On August 18, 1920, the 19th Amendment to the Constitution officially granted white women the legal right to vote. However, women of color continued to face barriers to voting until the Voting Rights Act of 1965. 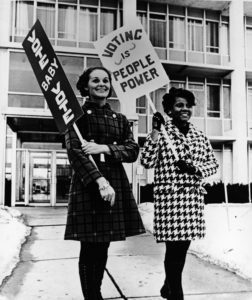 Join us as we examine the history of women’s suffrage and discuss why and how women of color have been intentionally left out of the electoral process. For more information about the Fall Forum, contact Maritza Cruz at mcruz@ywcacentralmass.org.